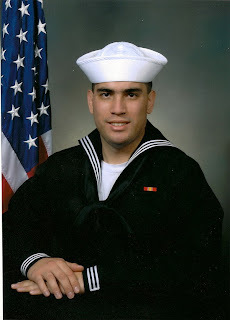 Here's Christopher, all dressed up in his Navy uniform. He graduated from Navy boot camp and is now working his way through his specialized training program in Nuclear Engineering. We are so proud!